Investors, many cashing in on a strong stock market performance, sparked a 10 percent increase in sales of vacation homes in 2012, according to the National Association of Realtors. The NAR also reports that the median home value was up 24 percent over 2011, to $150,000, as buyers flock to find bargains before the real estate market recovery drives vacation home prices too high. How do you want to use the house? Are you looking for an investment property that you could rent out year-round? 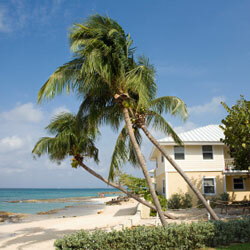 Do you want a home solely to provide a vacation location for you and your family and close friends? Or do you want something in between: a home you can use for vacations and can rent out when you are not there? If you plan to rent the home, either full-time or part-time, do you want to handle the arrangements yourself, or would you prefer to work with a management company or real estate agent? What kind of home do you want? Are you looking for a single-family home or a condo? Do you want a ski chalet, a beachside home or a cabin in the woods? Do the location and the type of home appeal to everyone in your family? If you are looking for a home outside the United States, do you understand local issues such as taxes, inheritance, etc.? How are you going to finance the purchase? According to the Realtors group, almost half of second homes are paid for in cash. If you plan to take out a mortgage, be aware that mortgages on second homes often are more difficult to get and limits may be lower than mortgages on a primary residence. Can you afford it? Remember that a second home, just like your first home, will involve not just a mortgage, insurance and taxes, but also the inevitable repairs and refurbishings. Plus, you may have to hire someone to do things like manage the property, mow the lawn and shovel the snow. If your budget cannot comfortably accommodate these expenses, you might want to think twice. How close is the house to your primary residence? If the house is close, you might be more likely to use it more often. In addition, it would be easier for you to handle things like rentals and maintenance yourself or, if you hire someone for these tasks, to get out to the house from time to time to ensure that they are being done properly. How much do you know about the area? Maybe you want to buy a vacation home in an area where you have vacationed for years. But some people go to a place, fall in love with it and look for houses on their way out of town. If you are not familiar with the area, take your time. Visit in different seasons, so you can see what the place is like under different conditions. Give serious thought to whether you want to tie yourself down to traveling to one place most of the time, rather than vacationing wherever you choose. Will the house and the location grow with you? For example, if you are a young, childless couple, will the place fit your needs if you have children? Similarly, if you have a family now, will you still want to visit when your children are older or when it is just you and your spouse? If you are thinking of the house as a retirement home, either sometime soon or in the more distant future, is it close to health care and other services, and can it accommodate mobility and other limitations that might come with aging?